Does anyone else say (aloud, or just to yourself) the word ‘nacho’ but pronounced like ‘not yo’ cheese (with attitude, of course)?? I do it every time. Every. time. I ripped out a page from the Jan/Feb issue of Shape Magazine that featured a bunch of vegan dips, intending to give some a whirl. I’m not a vegan, but I’m always up for trying new things. Interestingly enough, a couple of them were #whole30approved, as they featured nuts (rather than beans) as their main ingredient. I made two of them, but the ‘Nacho Cheese’ was absolutely delicious. I’d make it again in a heartbeat. 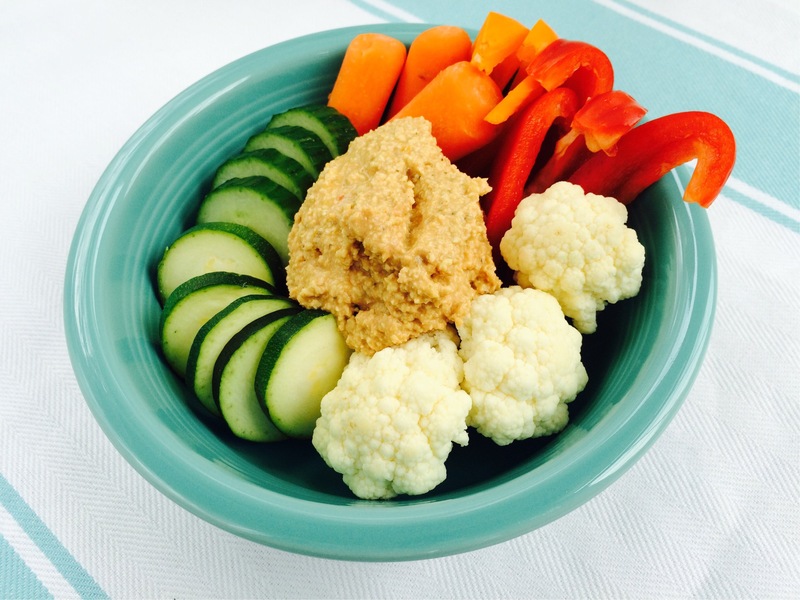 Great for dipping veggies! Add all ingredients to blender or small food processor and mix until smooth. Makes 4 425-calorie servings. I made half the recipe and was able to eat this for lunch with loads of veggies, paired with some beef jerky and fruit, a couple times this week.